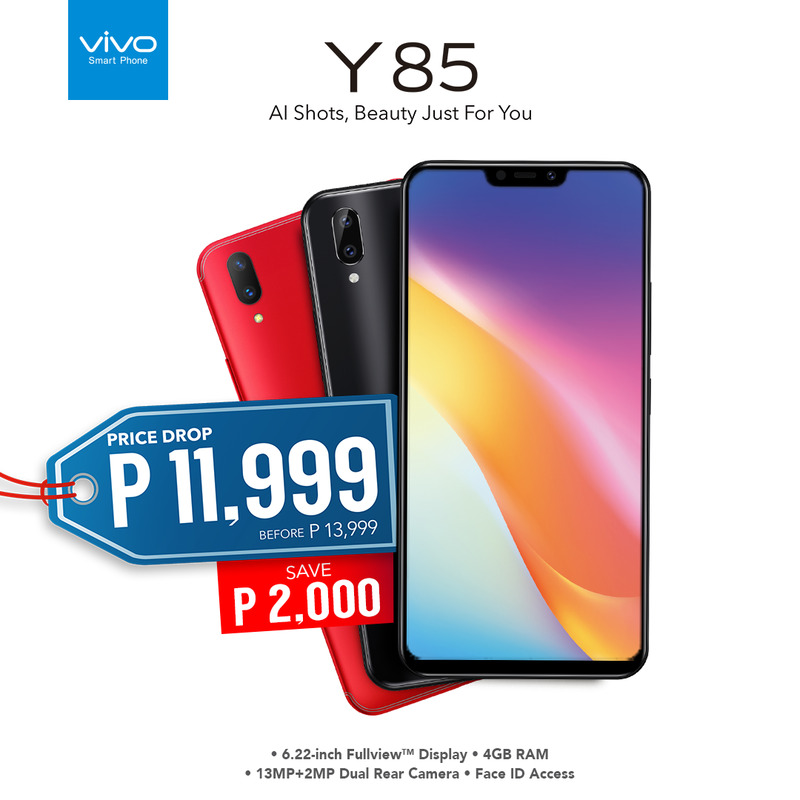 The <a href=http://vivoglobal.ph/vivo-phones/vivo_y85/>Y85&lt;/</a> also boasts of a 13 megapixel plus 2MP dual rear camera that can produce 52MP Ultra HD photos. This smartphone also has a Face ID Access, apart from the fingerprint scanner, to ensure hassle-free unlocking especially for those on-the-go. The smartphone also has an 8MP front camera with AI Face Beauty and Portrait capabilities that bring the user’s natural beauty in every selfie. The Y85 also has a 4GB of RAM and 32GB of storage running on a 12nm octa-core processor with an Android 8.1-based Funtouch OS 4.0 operating system. These specs ensure that the smartphone can handle multiple and complex tasks to keep up with every digital native’s lifestyle. The Android 8.1 OS also complements the smartphone’s 3260mAh battery to ensure longer battery life. The Vivo Y85 is available in black and red. It has a 2.5D subtle curved edges flow at the back and the front. The sleek back cover even gleams in the light for those who want to standout from the crowd.